I’ve learned that kids are amazed by the suffix “-est.” They are captivated by finding the biggest, longest, and smallest. My family is always on the lookout for winners of -est categories while on the road. 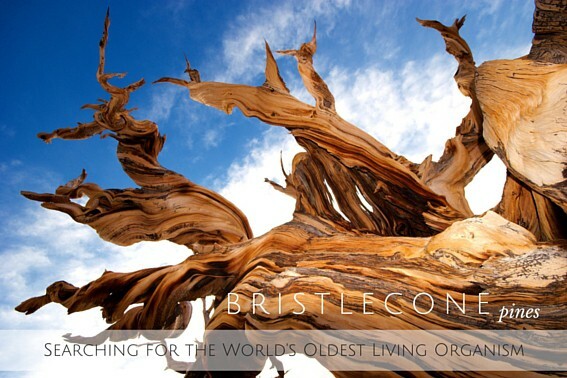 Our latest search, led us to the world’s oldest living organism: the Great Basin bristlecone pine tree. Bristlecone pine trees exemplify fortitude and perseverance. These trees grow best at rugged high altitudes, where the weather is cold and windy, and the soil is dry. 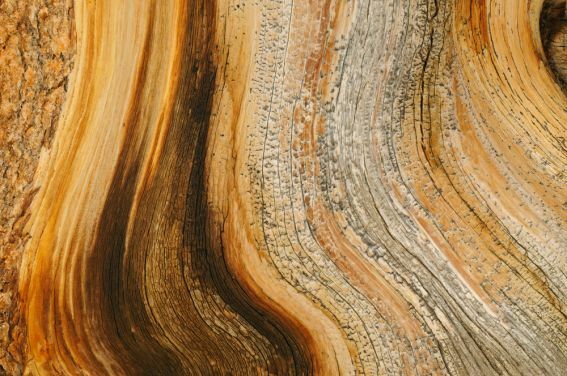 Their secret to longevity may be their ability to grow slowly and adapt to their environment, resulting in dense, twisted, and resinous wood that resists pest invasions. The end result is a beautifully gnarled living testament. Okay parents, can you see a metaphorical learning opportunity here? 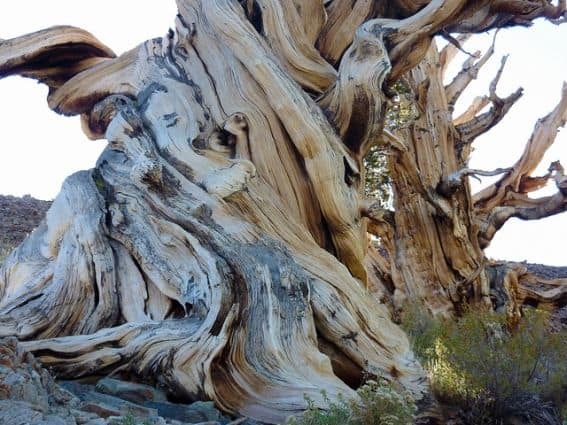 If you’re ready to teach those kiddos about fortitude and perseverance, check out some of these confirmed Great Basin bristlecone pine tree sightings in California, Utah, and Nevada. Some Great Basin bristlecone pine trees are as old as the Egyptian pyramids. Bristlecone pines grow extremely slowly, producing less than 1 inch of growth rings each century. There are only about 50 people who know exactly where Methuselah exists. These people are sworn to secrecy because they’re afraid the tree may be vandalized. Great Basin bristlecone pine needles live twenty to thirty years, unlike most pine trees that shed their needles every few years. Long after death, bristlecone pine trees can remain standing for centuries. They fall only when their supporting roots decay or are weakened by erosion. The Pine Alpha tree (along the Schulman Grove’s Discovery Trail) is over 4,000 year old, and four feet in diameter, yet it has only a ten inch strip of living bark to support it. Has your family ever tried to figure out which tree is Methuselah? Be sure to share your experience with other Trekaroo families. The bristlecone pine trees in Bryce Canyon National Park must enjoy the views of the amphitheater full of red rock hoodoos just as much as park visitors. As such, families can often find bristlecone pine trees dotted along the park’s rim viewpoints and trails, such as Inspiration Point and the Bristlecone Loop Trail. 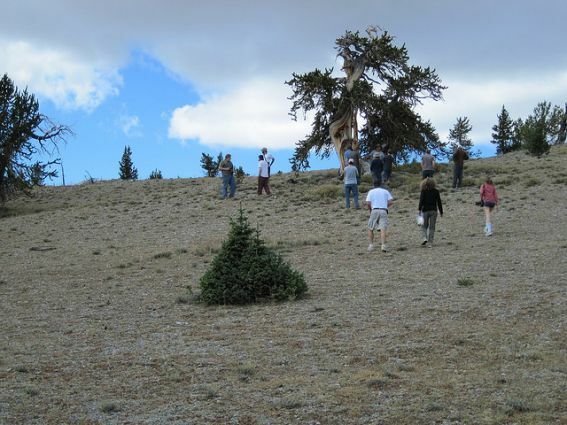 The park’s oldest bristlecone pine, a mere youngster at 1,600 years, can be found at Yovimpa Point scenic overlook. Not to be outdone, Bryce Canyon National Park’s “little sister,” Cedar Breaks National Park, showcases similar geology and its own ancient trees along Spectra Point trail. These trees are actually “older sister” trees predating Bryce Canyon’s bristlecone pines by a century. 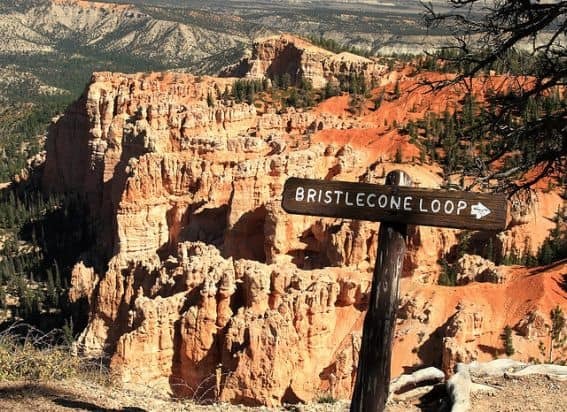 Finally, if your family is looking for a quick and easy trail, consider the Bristlecone Pine Walking Trail along scenic byway 14 near Cedar City where groves of bristlecone pines cling to a rocky face enjoying the scenic views of Zion National Park. 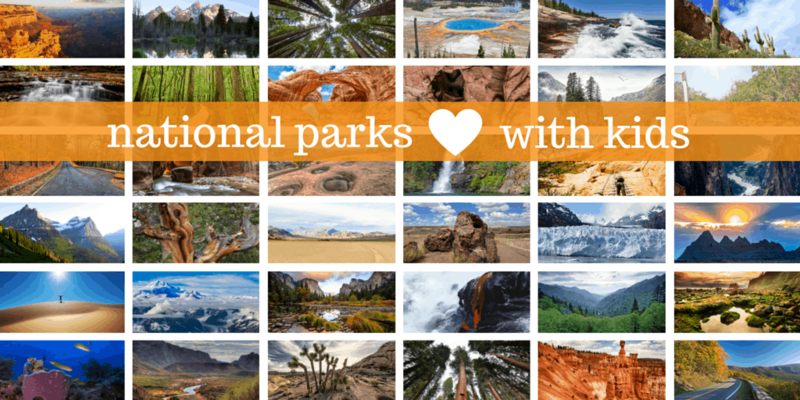 Does your family have love hoodoos? Be sure to share your experience with other Trekaroo families. Nevada’s Great Basin National Park once housed the oldest living tree, aptly named “Prometheus,” estimated to be nearly 5,000 years old. Sadly, this ancient tree suffered an untimely demise in 1964 when a graduate student cut it down while researching the little ice age, using core samples from bristlecone pine trees. This tragic incident led to tighter protective restrictions on bristlecone pine trees, including the decision to hide the exact location of Methuselah. In addition, this act contributed to the eventual creation of Great Basin National Park. Great Basin houses three groves of ancient bristlecone pine trees, including the Wheeler Peak, Mount Washington, and Eagle Peak Groves. Families can most easily access the Wheeler Peak Grove via a three-mile round trip hike from the Wheeler Peak campground. During summer months, rangers lead interpretive walks through this grove. Has your family camped in the Wheeler Peak campground? Be sure to share your experience with other Trekaroo families. Be sure to share your family’s favorite –est spotting with other Trekaroo families! We have a picture of a Bristlecone pine we visited in Bryce Canyon NP hanging proudly in our living room. I just love those trees!